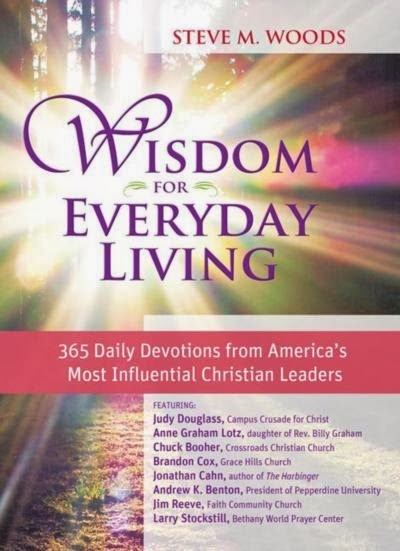 This collection of devotions includes 100 diverse and respected leaders from Christian churches, colleges and organizations. They share scripture and relections in a brief, easy to read format to give your day a fresh start. Each devotion begins with a scripture verse. These are great to take and look up in other version of the Word if you want a deeper study. Also a great place to work on scripture memorization. The author then shares from their experience a short story, or experience that goes along with the scripture. This would be a beautiful gift for anyone this holiday season! I enjoy having devotions like these sitting around my home to reach for when I have few extra minutes. It isn't an indepth study, but a food for thought to bring your mind back centered on Christ. 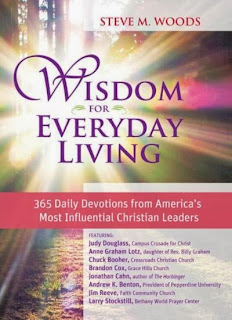 This is a great collection of authors and a very nicely done devotional. I try to find a quiet moment for myself every day, and this would be a very uplifting and thoughtful way to spend it. Being chronically ill for over 13 years, I see a few areas I'd really get some peace from...being courageous and giving up control...plus forgiveness and the downhearted feelings of losing self. A great book for anyone going through hardship, heartache, or health issues. thanks for the review.